The Pattonville Youth Garden is a tool to help teach and nurture kids into healthy adults. Gardening teaches us to be good stewards of the ecosystems we live in, interact with, and are sustained by. We can share in the experience and bounty of nature while making connections to our world and each other. "The home gardener is part scientist, part artist, part philosopher, part plowman." Gardening is a multidisciplinary curriculum that includes the arts, biology, botany, chemistry, family and consumer sciences, technology, math, and business. Students can research plant varieties and needs, as well as participate in starting seeds indoors, transplanting and direct sowing. They learn about garden wildlife, insects, the soil food web, organic gardening, harvesting, measure productivity, cooking, food storage, and preservation techniques. Garden produce gets included in school lunches, family and consumer science cooking classes, and community education classes. And the over abundance is made available to school food backpack programs, community food pantries, and garden volunteers. If you are a teacher wishing to reserve a time in the garden for your students, book a speaker to come talk to your class in the garden or at your building, or just get help incorporating garden curriculum into a lesson please contact us by email. We can tell you what will be happening around the time of your planned visit, how your class can get involved, and who might be available to come talk to your class on a range of subjects relevant to your curriculum. We need a wide pool of volunteers and a group of garden mentors to help keep the garden going. This youth garden needs parents and teachers to work in time to their kids schedules for them to come experience the garden. If you can bring and watch over a group kids, you will be helping immensely by getting those kids involved and invested in the garden's outcome. Even if you know nothing about gardening, we will happily educate you along side of the kids. If you have hands on building skills and would like to take part in the construction part of the garden; we will be assembling trellises, a shed, and bin enclosure to hold leaf mold, active compost, and finished compost. Please get in touch so we can coordinate your involvement on a project. If you are an outside group or organization wishing to do community service in our garden, please register with Gateway Greening's volunteer program and request serving at the Pattonville Youth Garden and one of the many other community and youth gardens out there that need your help! That's me, the project organizer and narrator here. My wife Becky and I live in Pattonville and love gardening. We have built and tended many gardens over the years, right back to when we were children. We believe that everyone should learn how to tend a garden at some point in their life and happy we can help Pattonville kids have that experience as part of their education. Greg is my boss and gardening friend who is committed to help see this project come to life. His gift for bringing the right people and pieces together at just the right moments has been instrumental in keeping the project moving forward and help forge ties to the district curriculum. A proud home gardener himself, Dr. Fulton has been excited and eager to help since being approached with the Learning Center youth garden idea. We thank him for believing in this project and his blessings to make it happen. We look forward to seeing him gardening along side of the kids! An avid chef and fresh veggie lover, Ron's support to give this garden the proper infrastructure funding it needs to become a sustainable attraction in the district has been amazing. We look forward to tasting his sauteed root veggies drizzled in a balsamic reduction and his culinary ideas to get kids excited about eating fresh garden produce. David enjoys the luxury of the office window with the best view of the garden. Most of us would not be able to get anything done with such a view, but he has done far from just watch. David is helping us make the ideal garden infrastructure dream into reality and automate many arduous tasks like watering so we gardeners can still have day jobs. Gateway Greening's idea is simple: to provide St. Louis with a fun, safe and educational environment for people to learn. They advocate healthy living and help spread the idea of sustainable, urban agriculture. Our first grant from Gateway Greening gave us the large influx of organic matter we needed to quickly improve the condition of the soil and make a garden, but more importantly, established a relationship with them that will help support our mutual goals of garden education in the years to come. They are providing on going support to us in the form gardening classes for student, teachers, and community members and a yearly gift of vegetable seedlings to help get the garden started. We were recently notified by them that our second grant application for trellis infrastructure has been accepted. We thank Gateway Greening for believing in us and supporting the start up of our youth garden project! Chartwells Schools provides meals to dining services for more than 575 school districts, ranging from large public institutions to small charter and private schools, and prides itself on creating customized programs to match the requests of the students, parents and faculty. 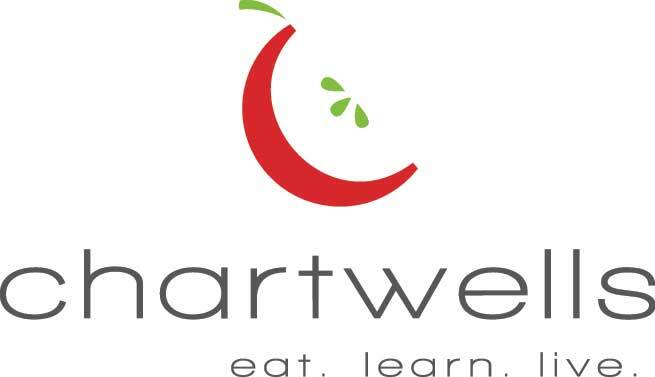 Chartwells is a culinary-focused organization with a mission to extend its passion, dedication, knowledge and enthusiasm into serving each student delicious and nutritious meals. The company is built on decades of food and education experience and driven by top culinary, nutrition, wellness and sustainability talent. The Pattonville Youth Garden is to be one of the eight youth gardens in the nation to be part of Chartwells school gardening pilot program with National Gardening Association. This partnership creates a new way of engaging students in education through nutrition and sustainability awareness, hands-on knowledge of where food comes from and the opportunity to enjoy fresh, healthy produce that kids grow themselves. 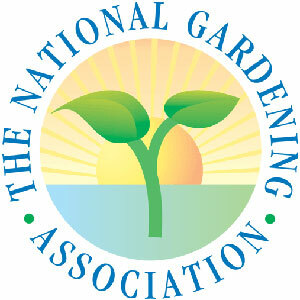 The National Gardening Association , a 501(c)3 nonprofit organization based in Williston, VT. Their mission is to empower every generation to lead healthier lives, build stronger communities, and encourage environmental stewardship through educational gardening programs. Beginning with 50 youth garden grants in 1982, KidsGardening.org has delivered over 10,000 grants and awards, benefiting an estimated 2 million youth gardeners. To learn more and support their efforts visit KidsGardening.org. The Webster Groves Herb Society provides student scholarships in herb-related studies, makes donations to community projects, donates plants and member hands-on help in maintaining the herb gardens at Hawken House in Webster Groves, Mudd’s Grove in Kirkwood, and the History Village Herb Garden at Faust Park in Chesterfield. These gardens are open to the public and show the herbs that grow so well in this region. Pattonville has establishing a relationship with the WGHS that will feature guest speakers to come talk to children and adults about the world of herbs and their everyday uses and a yearly influx of herb plants for the garden. The WGHS funded materials for our garden drip irrigation system! The Home Depot in Bridgeton is supporting the youth garden by providing us a garden storage shed and $125 in coupons to purchase tools. We look forward to getting to know them and working along side their team in the garden! Our new neighbor Scott's Power Equipment has donated a large roll of hay to the youth garden that they use to demonstrate the abilities of the vehicles they sell. The garden will use the hay to mulch around plants and the garden paths. For a timeline of the project so far, please visit our garden history page.